Exmoor’s Countryside Stewardship priorities statement cites a wide range of landscapes. Braunton and the Caen Valley contain many of the priority features identified, and are specifically mentioned multiple times. Flood / Coastal Risk Management priority areas benefiting from Braunton Facilitation Group project: upper reaches of River Caen; minor watercourses east and west of Braunton; Croyde stream catchment and small watercourses south of Croyde village; tidal floodplain – River Taw and tributaries. 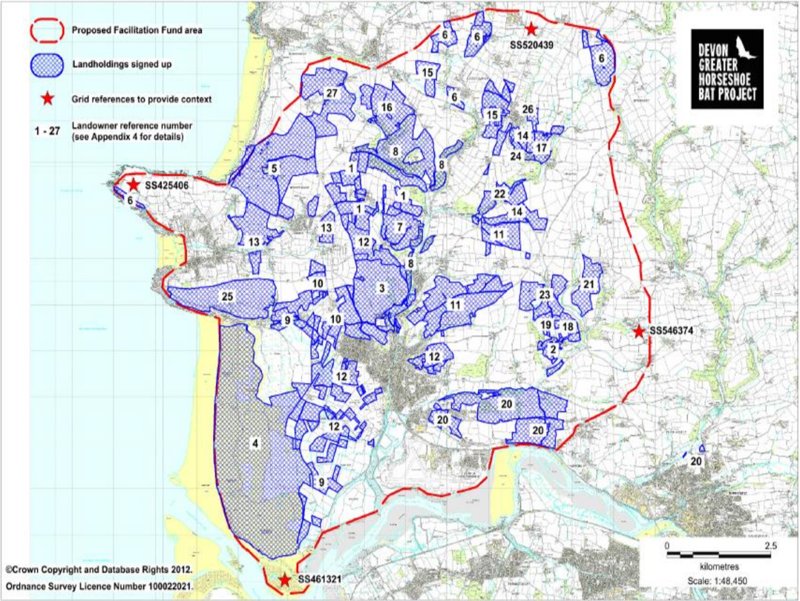 Opportunities to achieve specified multiple environmental benefits in Facilitation Group area: establish low input arable / low-intensity grassland in Braunton area, protecting historic features and benefiting farmland birds, soils, water quality, landscape character, flood risk and biodiversity – restoring and reinforcing historic network of hedgerows above Braunton, decreasing soil erosion, creating wildlife habitats / corridors, strengthening local landscape character, and benefiting water quality and flood risk – selecting options such as hedge planting, buffer strips, grass strips and winter cover crops to reduce soil erosion and benefit water quality, flood risk and landscape character within River Caen catchment – enhancing existing intertidal coastal habitat and creating new coastal habitats close to Braunton, enhancing biodiversity and supporting flood / coastal risk management.